View the fascinating structures of a creature that exhibits the characteristics of both plants and animals. 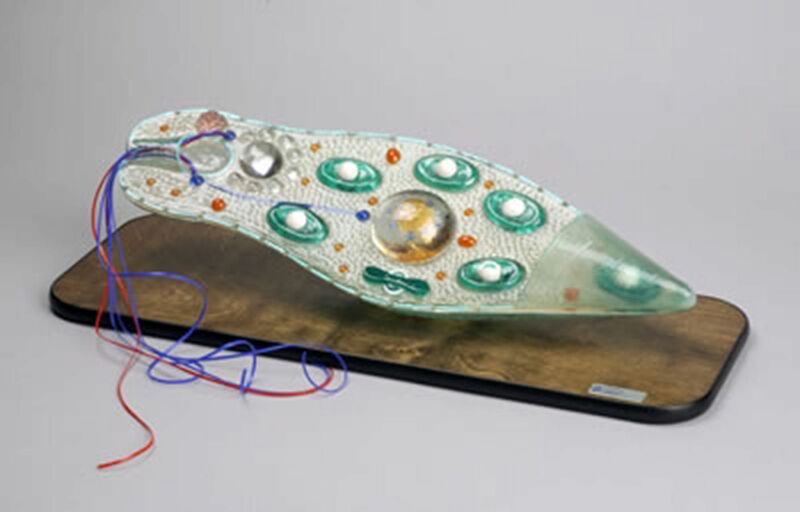 The one-piece model, enlarged 9,000X, is sectioned to show the interior of the cell, including the flagellum, stigma, blepharoplast, contractile vacuole, chloroplast, pyrenoids, rhizoplast, and endosome. It is mounted on a base and comes with a key, identifying 19 structures.